A wonderful exercise machine for anyone who wants to workout at the comfort of their own home. Building a personal gym at home? You might want to equip yourself with a rower and multi-trainer. Not only is great for toning the arms, it is also great for keeping your heart rate up. One of the most popular models available in the market today is the Kettler Stroker Rower and Multi-Trainer. We will look into it in more depth here. This rowing machine is well designed for individuals who wish to start rowing training or simply want to stay fit. 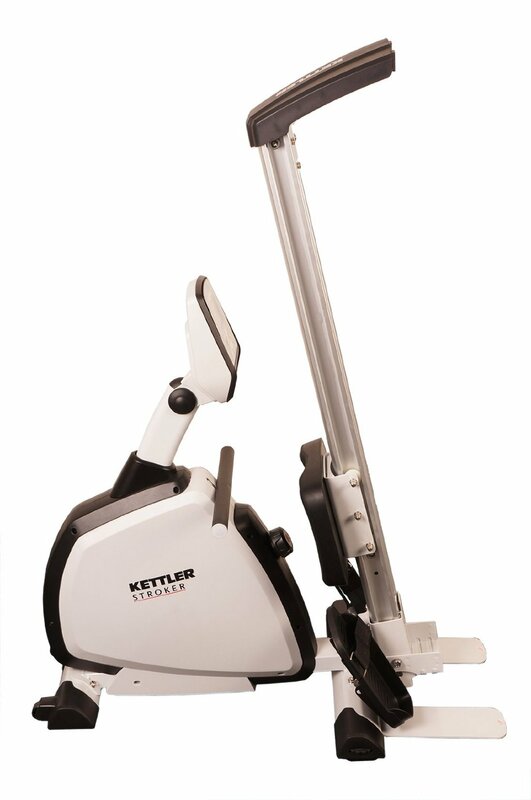 With its outstanding quality and durability, the Kettler Stroker Rower and Multi-Trainer has a maximum weight capacity of up to 130 kilograms. It also comes with a magnetic brake that you can set in 8 levels according to your particular fitness level. As such, users of all fitness levels will find this product a total joy! Why should I buy the Kettler Stroker Rower and Multi-Trainer? You can manually adjust the resistance in the magnetic brake system easily for a more challenging workout. In fact, this feature contains indexed settings that range from 1 to 8, which ensure you of a more fulfilling experience while you use the machine. One of the primary features of the machine is the huge LCD display that contains essential details about your workout such as the calories burned, strokes, time and pulse. It offers a simultaneous display of six different functions including the heart rate, kilojoules, oar strokes, time, cumulative distance per training session and cadence. You may also set your preferred pulse maximum limit, and a warning signal is provided when you exceed the said limit. This one-of-a-kind exercise machine is built with footplates that are bio-mechanically correct. 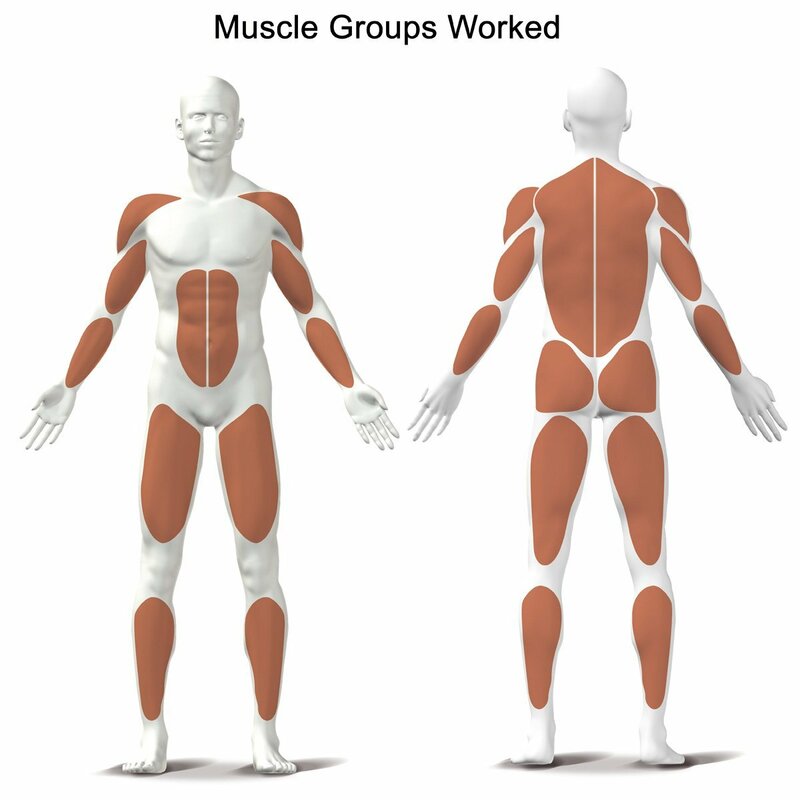 This allows you to have a natural and smooth pivoting action and a complete rowing motion while you work out. In addition, the seats come with thick padding and high-grade rollers to ensure you are always in a comfortable position as you row. The machine has a chest-strap heart rate monitor that can detect your current heart rate while you’re rowing. The details are transmitted to your computer, so you can save the data for further reference. Not only is this great for tracking, it also allows you to determine your cardio wellness with a grading that is indexed from 1 to 6. With its innovative design the Kettler can workout most of your body, particularly the back, arms and legs. A unique feature of this rower is the ability to easily fold and store it. From a fully extended dimensions of 86 x 24 x 32 inches, it can easily be stored in a cupboard or garage without taking up too much floor space. 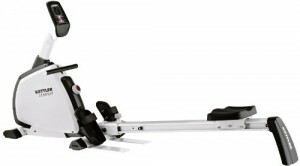 With the built in magnetic brakes, up to 500w of resistance can be applied to the rower. 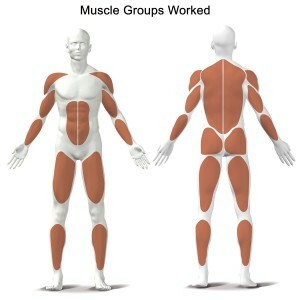 This will give a powerful workout with smooth application of the resistance offering comfort and control. As its new to the market we can only look at kettlers past performance. Their track record is good, with solid products such as the more expensive Indoor E Rower. This is a more budget conscious version, yet offering the same great features. The Kettler Stroker Rower and Multi-Trainer is a wonderful exercise machine for anyone who wants to have a good workout at the comfort of their own homes. Not only does it provide a more convenient options for beginners and fitness buffs alike, it also comes with all essential features that enable users to monitor their progress and attain their fitness goals. Indeed, with this space-saving, versatile and reliable exercise equipment, individuals regardless of fitness level can definitely improve their endurance, stamina and strength.